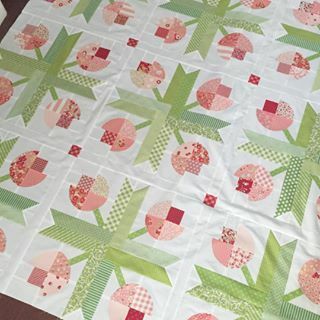 Set Blocks Together for a Larger Quilt! 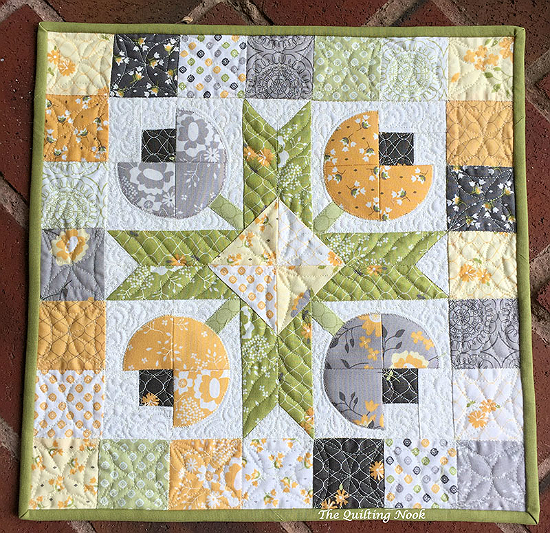 Simple piecing and a bit of fusible applique makes this lovely mini quilt go together easily (no curved piecing!). It’s a quick project you’ll have done in just a few hours. Display this little charmer on a wall among other mini quilts, above a shelf of pretty items or use it on a table. It will provide a lovely touch of spring all year long. Choose a mini charm pack (2 1/2″ squares), a charm pack (5″ squares), leftover jelly roll strips or other goodies in your stash. 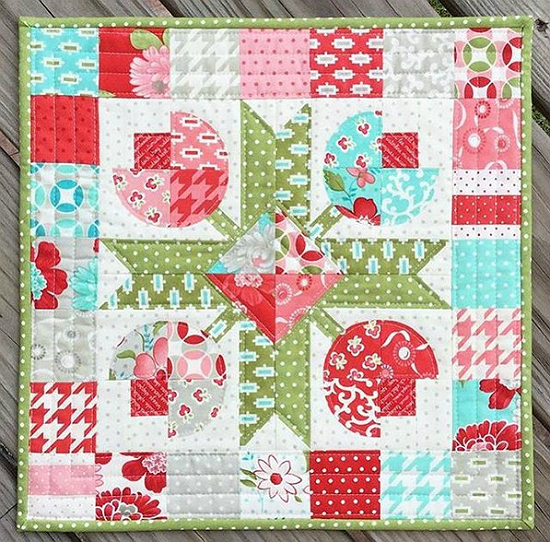 The quilt will be wonderful in many color combinations, whether you work from scraps or a coordinated color palette. Quilt from A Quilting Life. Quilt by Cathy from Sew Pieceful. And, look what happens when you set several blocks together. It’s easy to imagine a beautiful quilt in just about any color combination. 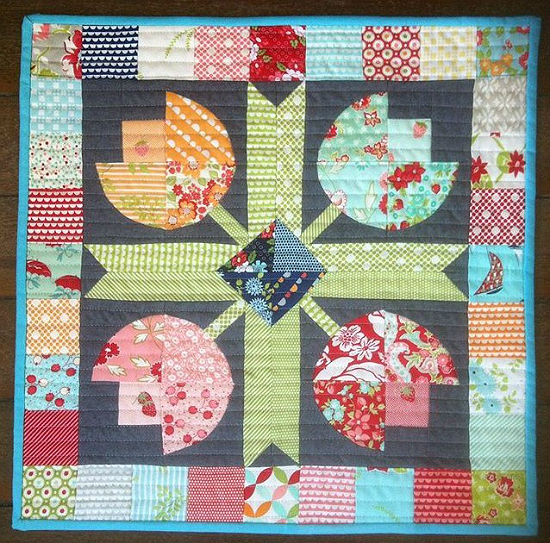 The finished mini quilt, from Thimble Blossoms, is 14″ x 14″ . 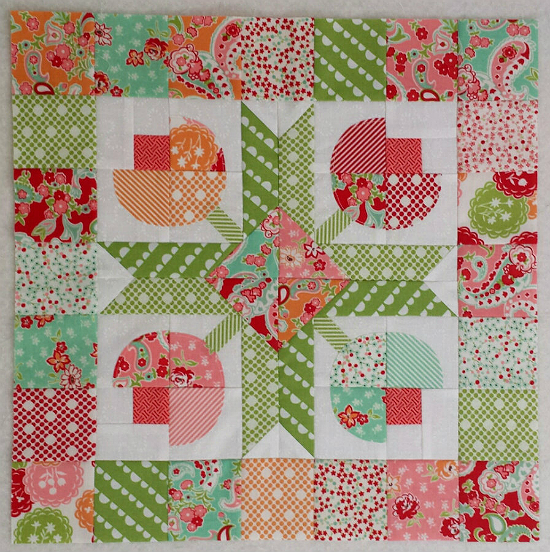 Click here to purchase the “Flower Patch Mini” quilt pattern. 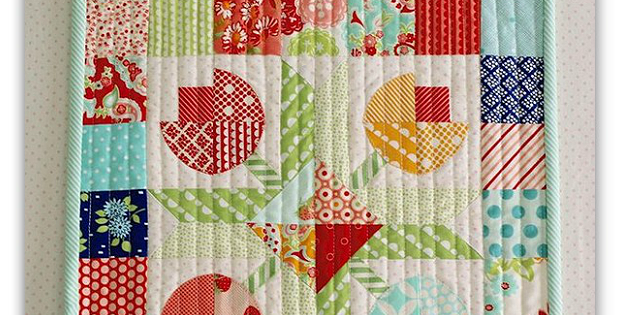 Watch how the quilt goes together in the following video from Sewcial Stitch. Click here to watch the video on YouTube if it does not play on your device.